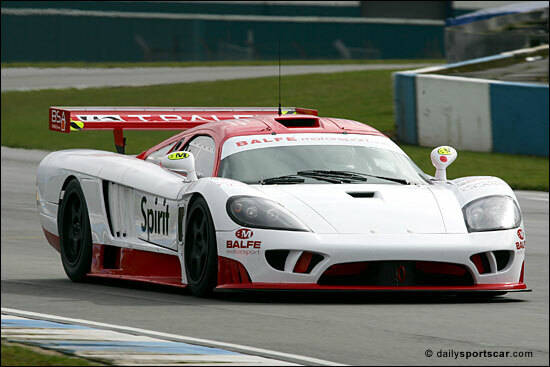 It was a faultless shakedown for the Balfe Motorsport Saleen S7R at Donington Park yesterday, March 29, just 24 hours after the car hit the ground following a full, close season rebuild. 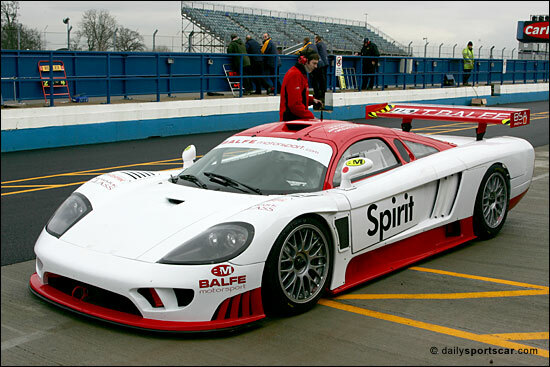 Shaun Balfe took to the wheel of the car for what was intended to be just a few exploratory laps. It didn’t turn out that way with the session extending to just over 60 trouble-free laps. The team will now move on to an exclusive day on the Silverstone South circuit next week to put more miles on the car and give Jamie Derbyshire his first drive of the Saleen. After that, it will be two days at Dijon for the FIA GT media/test days. You can read read about Balfe Motorsport’s 2006 season right here on dailysportscar in the free to view section.